Last week a very exciting event happened in my family. My father had his 90th birthday. We celebrated with a family weekend at his home in a small town in Northern New South Wales. Family members travelled from far and wide. My father is the proud patriarch of 5 children, 19 grandchildren and 15 great grandchildren. Almost everyone was able to attend the celebrations. My father was born on 10thJuly 1926 in Lismore, New South Wales. He is the third son in a family of four boys. By all accounts he was a bit of a scallywag from a very early age. He would wander all over the neighbourhood and often his mother did not know where he was. The Catholic Primary School was next door to his house and he would wander in and out of the classrooms. When he was four years old the nuns told his mother that he might as well start school – he was always at the school anyway. So he did. Although he loved it from the beginning, he says that he did not do very well at school because he payed little attention and was always skylarking. He neglected to do his homework or study at home. As soon as school was over each day he would be off playing until dark. However, he was an altar boy and also in the choir and he loved the singing and the ceremonies. When he was fourteen he was chosen to go to the Marist Brothers Juniorate in Mittagong in the highlands of New South Wales with a view to becoming a Marist Brother. He studied there for two years and says he loved the life because there was lots of swimming in the dam and other sports as well as the choir and the religious ceremonies. It was a rural setting so there were plenty of outdoor activities and farming chores to do. He became good at his schoolwork because there were supervised study times every morning and afternoon. Consequently, he was forced to study. He says that from a position of almost last in the class at school in Lismore he was placed around 7th or 8th at Mittagong. Nevertheless, he was still a “muck up” as Dad calls it. There was a behaviour merit system in place and Dad often came equal last with one other boy. Yet, this did not seem to worry Dad. He enjoyed the experience and always speaks of it fondly. However, as you can probably guess, the day came when the brothers advised him that they did not think he would be suited to the religious life. Dad agreed. At the age of 16, after two years away he returned home to Lismore. Dad is of Irish and English heritage. On his maternal side his ancestors are all Irish and from farming backgrounds. His great grandparents came from County Cavan and took up land in the 1860’s as free settlers near Coraki on the Richmond River. One of their daughters, Dad’s grandmother, married a farmer from County Tipperary who had also taken up farming land in Coraki. On his paternal side his great grandfather came to Australia from County Galway as a convict, sentenced to transportation for life for stealing a cow. After his ticket of leave was granted he married an Irish girl from Dublin. The only English link is Dad’s paternal grandfather who was born in London and came to Australia in 1878. He joined the New South Wales Police Force and was posted to Northern New South Wales where he married a daughter of the Irish convict. There is only one photo known to me of any of these ancestors. The photo is of Dad’s Irish great grandfather, Patrick Smith, taken when he was an elderly man. Dad shows a remarkable resemblance to him, with his white hair, bushy white beard and deep set, thoughtful, intelligent eyes. Dad shares his birth year with some illustrious company; Queen Elizabeth, Sir David Attenborough, Marilyn Monroe, Dame Joan Sutherland, comedian Jerry Lewis, Chuck Berry and the American poet Allan Ginsberg. Dad is a great fan of jazz music and so it is pleasing for him to know that Miles Davis and John Coltrane were also born in 1926. Some very interesting events also took place in 1926. “Toastmaster,” the first pop up toaster, was invented in America. The first public demonstration was given of an amazing new invention called television. Aerosol was invented in Norway, the famous Route 66 Highway in America was established, and Winnie the Pooh by A.A. Milne was first published. However, there are two occurrences in 1926 that are particularly relevant to Dad’s life. 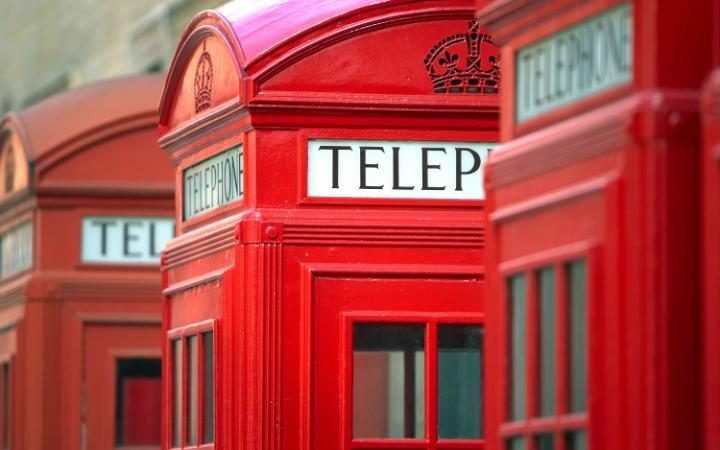 The first is the release of K2 or Kiosk 2, the iconic red telephone booth, which was brought into service in the streets of London in that year. The second was the first Trans Atlantic telephone call made between London and New York. Both pertain to Dad’s working life as a telephone technician. For most of his working life Dad worked for the Post Master General’s Department, now known as Telstra. For many years the red telephone booths were dotted all over Australia, in the cities, in the country and even the Outback. One of Dad’s many jobs as a Telephone Technician was to repair these distinctive booths and he spent many hours travelling to the towns and villages of the far North Coast of New South Wales repairing them. When the red telephone booths began to be phased out Dad was able to procure one for his own aesthetic and sentimental reasons. For many years it held pride of place in his back courtyard next to the barbecue. These few recollections barely scrape the surface of Dad’s rich life story. 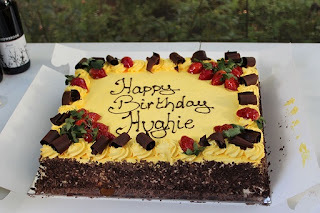 Dad, his family, and friends had a wonderful weekend celebrating his milestone birthday. In light of his early history, we are forever grateful to him and the Marist Brothers for realising that life in a religious order was not for him.